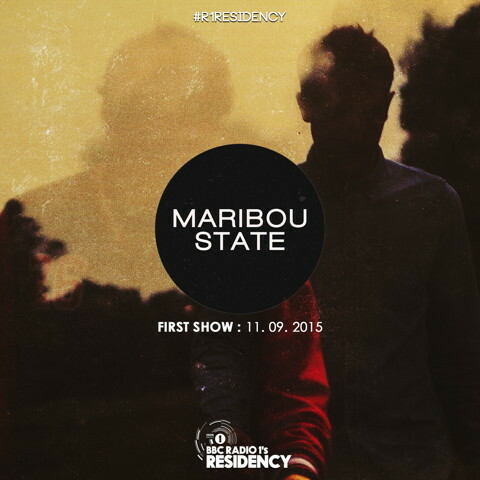 Following in the footsteps of James Blake, Flying Lotus, Kaytranada and Jon Hopkins, Maribou State join BBC Radio 1’s Residency this week, with their first show this Thursday (into Friday) 00.00-01.00 BST/GMT and monthly thereafter. In the words of Liam Ivory from Maribou State: "Joining the BBC Radio 1 Residency feels like a huge privilege to us. We're excited to share our personal music tastes with everyone, sitting alongside some incredible music talent." The announcement comes as the band are finishing a hectic summer of festival appearances and ahead of European tour dates in September, October and November. The London show at Village Underground is sold out, with further shows in Bristol, Brighton, Manchester, Glasgow and Dublin. 2015 has been a big year so far for Maribou State, releasing their debut album ‘Portraits’ via Counter Records (a Ninja Tune imprint); devising their live show which was premiered at R1 Residency's annual Maida Vale special back in May; and remixing the likes of Lianne La Havas. By way of celebration of joining the R1 Residency team - and teasing ahead to a forthcoming Maribou State remix project - you can stream a 'Midas' rework by Glenn Astro (Tartelet / Money $ex) on the Counter Soundcloud.